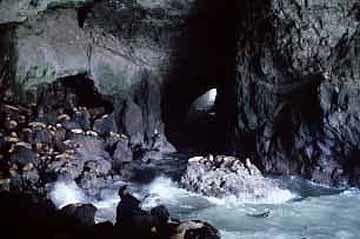 If you make just one stop on the fabulous Oregon Coast, you'll be well rewarded by a visit to Sea Lion Caves. Within a splendid coastal headland, the sea cave is magnificent. Largest in the world, its colors make it the most beautiful. There's no other place like it. Anywhere!